THREE REMARKABLE EVENT VENUES. ONE AMAZING LOCATION. At Manhattan Center, we don’t believe one premier event space is enough. So we offer three: The Hammerstein, The Grand and The Bank. Putting aside the richly restored period architecture, and natural acoustics that renowned performers have called the “best in the world”, the venues’ spacious dimensions allow for guest lists ranging from 400 to 3,500; while featuring extensive dressing rooms, private salons and opera boxes. All this comes with the most convenient location in New York: 34th Street and 8th Avenue. Within its nearly one-city-block configuration, the Manhattan Center offers something more than two premier New York event locations. Directly connected to The Hammerstein and The Grand is the historic New Yorker hotel. Built during the Jazz Age, this iconic hotel has dazzled visitors with its Art Deco décor, exceptional service and superb location in Midtown West for generations. Owned and operated by the Manhattan Center, The New Yorker, with more than 1,000 rooms restored in period style, is an elegant establishment that is perfect for guests attending corporate events, tradeshows, fashion shows, new-product launches, or whatever function you or your company choose to hold. Whatever it may be, you will be comfortable and confident in the knowledge that The Hammerstein and The Grand are widely considered the two best venues and event spaces in New York. The New Yorker, a Wyndham hotel, is also ready, and more than able, to host a wide array of meetings, conferences or corporate gatherings. From the most intimate retreat, to a grand gala, The New Yorker team provides a full range of all-inclusive customizable meeting packages to meet your every need — from budget to full-blown The New Yorker delivers excellence on every service level. Featuring The Grand for stunning large-scale receptions, and our Sky Lounge perched 39 stories above the streets of Manhattan for more personal events, The New Yorker hotel stands above the rest. Located a block from Penn Station and Madison Square Garden, and just minutes from Times Square, the Jacob Javits Center and the Empire State building, The New Yorker isn’t simply central to New York. It is New York. Room size: 12,000 sq. ft. Built in 1906 by Oscar Hammerstein, and meticulously and majestically restored over the years, The Hammerstein is New York’s premier choice for event planners seeking the spectacular. With a 75-foot hand-painted ceiling, all events reach new heights within The Hammerstein. Practical as it is beautiful, the ceiling features numerous rigging points for production lighting, sound or set design. 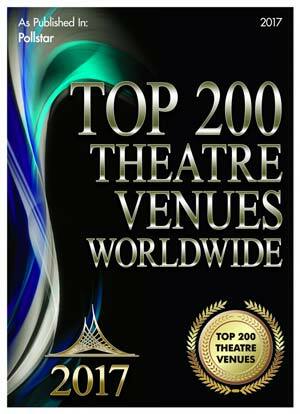 New York’s premier event venue, The Hammerstein, has been named one of the world’s greatest theatres. One of New York’s most visually stunning event spaces, The Grand is a masterwork of acoustics and a monument to flexibility. Working with our full-time events team, any planner’s dream can be turned into reality. Product launches, corporate meetings, conferences, fashion shows, live TV production and concerts, provides a small sample of what makes this room Grand, indeed. Room size: 10,000 sq. ft. Salon: 63 x 24 ft. The Bank is our most inviting and intimate space. Featuring a private entrance, 46-foot ceilings, original marble details, natural light that shines through a vast array of vertical windows, and a stunning balcony that overlooks it all, The Bank is the New York space that any event can profit from.